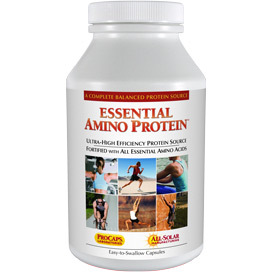 ESSENTIAL AMINO PROTEIN starts with an ultra-high quality, easy-to-digest protein source delivering exceptional potencies of the Essential and Branched Chain amino acids in the form of easy-to-absorb, simpler peptides and free-form amino acids. Typical protein sources and powders contain large complex proteins, but ESSENTIAL AMINO PROTEIN starts with an ultra-high quality protein source and we then create a “super” protein by fortifying it with even higher levels of Essential and Branched Chain amino acids. ESSENTIAL AMINO PROTEIN is not just the most advanced protein source for athletes, but also provides the highest quality amino acids for the structure and maintenance of all our vital organs. It is designed to improve the protein quality of our diet by delivering the essential amino acid balance of our most critical organs and structures (heart, liver, muscles, etc). It also delivers the high quality protein necessary for the structure and function of our enzymes, which we rely on to perform ALL biochemical and metabolic activities. It is well-established that the quality (more than the quantity) of protein determines optimum health and physical performance, which is why ESSENTIAL AMINO PROTEIN focuses on quality providing higher levels of the most important, costly and difficult-to-obtain amino acids. 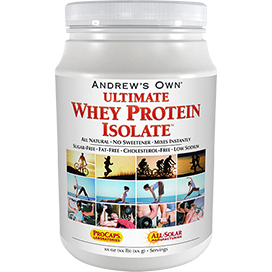 Of course, the protein in this product is hormone-free, lactose-free and sodium-free. ESSENTIAL AMINO PROTEIN's convenient and easy-to-swallow capsules contain a perfectly balanced, mild and easy-to-absorb source of amino acids that renders typical protein powders obsolete. Essential Amino Protein is designed to be an ultra-high efficiency protein source and a convenient substitute for typical protein powders. Determine your daily intake by considering your body weight, dietary protein intake and activity level. 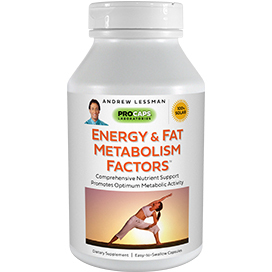 General recommendations are at least four capsules (one to four times daily), with higher levels for those engaging in intense physical activity or lacking sufficient dietary protein.This product is most effective as part of a healthy diet and active lifestyle, along with one of Andrew Lessman’s multi-vitamin-mineral formulas. NOTICE Use this product as a food supplement only. Do not use for weight reduction. My husband is on dialysis and one of the things monitored every 2 weeks is his protein. When he first started dialysis his levels were low. After taking the 4 capsules daily for a month his numbers improved, and his blood tests are consistently very good each time we get a report. I was also glad to read that this is important for critical organs. Thanks Andrew for all the work and research you do. It's wonderful to have products that are not loaded with chemicals and other strange things. I have suffered with mouth ulcer sores since my late 20s and nothing made them go away and stay away. I am 61 now so I have suffered a long time. Sometime I had upwards of 20 in my mouth at any one time. I read on the internet about a product that was amino acids and they would clear up mouth ulcers. The product did nothing but then I thought since I took so many of Andrew's products that I would try his Amino Acids and it was a miracle. I have been taking them for about 2 years and the name has changed but the miracle continues. The ones under my tongue were the worse ones. Sometimes now in times of illness or stress I will feel some coming on and I take a little extra and by the morning the soreness is gone. Everyone always asked did I try L-Lysine and I had tried it but I obviously needed a range or Amino Acids because this product works. I don't know what else it may be helping with but the sores are under control. I know there are a lot of people out there who suffer from these sores and I encourage you to try this product because it is answered prayers for me. All of Andrew's products are amazing and I would give them 100 stars if I could. Thank you Andrew for paying attention to many of us who work so hard to keep active and need extra supplements to keep pushing as hard as we do. This has helped my family in our exercise routine and keeps us going after our workouts. Please, please Andrew make more of these products for us who need more than the secure. how about some protein bars? After reviewing many items on the market, my personal view is this is the best product per unit types of Amino Acids (at the proper and correct levels for the body, at least mine anyway), the complexity of the Amino Acids, and the easy to take soft gel powder supplement pills are so easy to swallow, even for the elderly in my experience. This for me, can be for all people and not just for male athletes. That is what so many people might think. I take many of these each day, along with my mom, my protein levels are great from my doctor, as are hers finally! It was a huge wake up call as to how deficient our diets can be and why we mostly all need some supplementation. I have recently got my mother whom is 81 to take this, as I stated, along with the Calcium supplement and it has allowed her in my opinion to be stronger and as she takes the Multi Vitamin by Andrew, the Calcium Complex morning and evening, and the Essential Amino Protein supplements she is doing things she was not doing for several years. It has made me a hero in my family. I am looking forward to other ways I can help her through your products. She deserves the best, and for that matter, so do I. I will give you 5 stars when my mom gets to 100! I just learned that I need a few of these Amono Acids. However, I am having to take other brands of supplements do to the additives in Andrews such as milk. I took Andew's for over twenty years but cannot do it anymore because of the additives. I suspect I may have Celiac and cannot have many ingredients wheat, gluten, corn, diary, egg, soy....... With food allergies/intolerances on the rise, Andrew it's time to remove them all when possible. 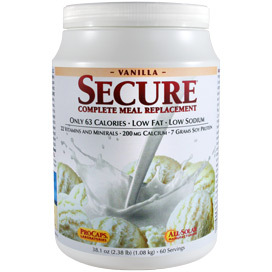 Other Ingredients: Calcium Caseinate (milk), L-Lysine HCl, L-Glutamic Acid HCl, Free Form L-Arginine, Free Form L-Isoleucine, Free Form L-Valine, Free Form L-Leucine, Free Form L-Aspartic Acid, L-Cysteine HCl and Free Form L-Glycine. Gelatin capsule. 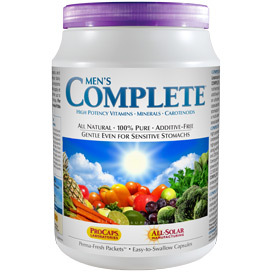 Essential Amino Acids are marked with an (E) and Branched Chain Amino Acids are marked with a (B).